The City of Westlake Hills is a small community west of Austin and includes some the most exclusive and luxury real estate and homes around the area. It's proximity to downtown Austin, being close to Zilker Park and Barton Springs, fine dining and shopping, and scenic hill country views are all great reasons to live here. Most homes in the area tend to have at least an acre or so, with most being heavily wooded view lots. There are many luxury home developments in and around Westlake Hills. Westlake has desirable features in a community such as lake views of Lake Austin, Lake Austin waterfront homes, hill country views, acreage estate homes, greenbelt lots, and lots of wildlife. Residents can enjoy nearby restaurants as the "Hula Hut", "County Line on the Hill", "The Grove", "Thai Spice", or "Maudies Milagro". This luxury home community has amenities that include a junior Olympic swim center, playground, entertainment pool and over 400 acres of protected greenbelt along Barton Creek. Bluffington homes is a very exclusive luxury home neighborhood along Town Lake and overlooking downtown Austin. Students here attend Austin ISD. Elementary students attend Barton Hills, middle school kids attend O Henry, and high school is Austin High. Davenport Ranch is a well established luxury home community located off of Loop 360 and Westlake Dr. Homes here were generally built in the mid 80's to 2000. The average sq. ft. is app. 4000, and average sales price around $750K. The average price of homes in Lost Creek is approximately $650,000.The average age of the homes in Lost Creek is approximately 22 years, although most have since been remodeled. Homes range on average of app. 3400 sq. ft. The luxurious and prestigious neighborhood of Rob Roy has several different sections to choose from. Whether it is Rob Roy, Rob Roy West, Rob Roy on the Creek, or Rob Roy on the lake, you will find a home surely to fit your needs. Rob Roy is located off of Loop 360, Bee Caves Rd., and Pascal and Weston Lane. The community of Rob Roy is one of the older more established neighborhoods in Westlake Hills, and convenient to most everything. Senna Hills is conveniently located off of Bee Caves Rd. between Westlake Hills and Bee Caves. The typical make up of the luxury home community is new homes, to older homes 8-10 years. The average home size is around 3000-4000 sq. ft., and prices average around $525K. Most residents choose to move here to stay away from the more expensive homes in Westlake Hills, but to benefit from being in the same school district, Eanes ISD. Seven Oaks is a luxury home acreage estate community located off of Bee Cave Rd. between Westlake Hills and Bee Caves, west of Barton Creek. Although a fairly small community, most home sites offer beautiful panoramic views of the Texas Hill country. Residents of this fine home community also enjoy the low tax rates as well. 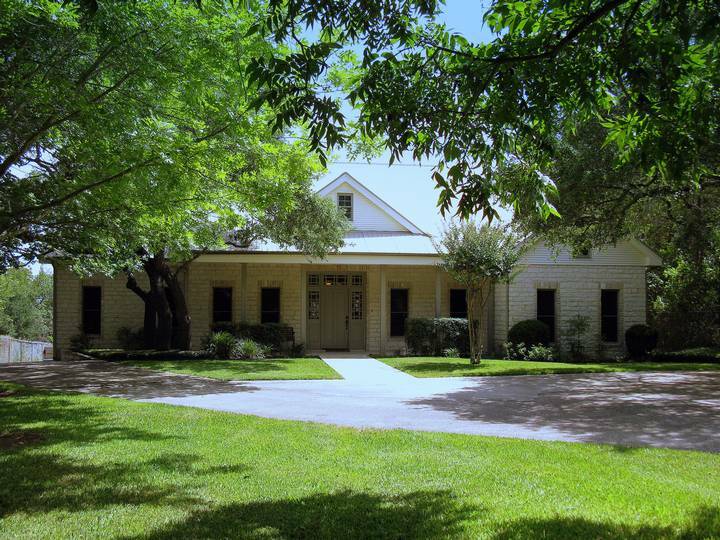 Spanish Oaks is a very luxurious gated community located out west off of Hwy. 71 west. It is a very exclusive luxury community with acreage home sites, and many amenities such as a club house, jogging/biking path, playground, community pool, as well as a private golf course. Home prices are generally between $850K-$4,000,000. West Rim is a gated community of luxury homes located off of Westlake Dr. and near Lake Austin. The average sq. footage for most of these custom luxury homes is 7000, and list price app. $3.2 million.